Tyler Miller looks out onto the field. The Seattle Sounders selected the former Wildcat goalkeeper with the 33rd pick in Thursday’s MLS SuperDraft. 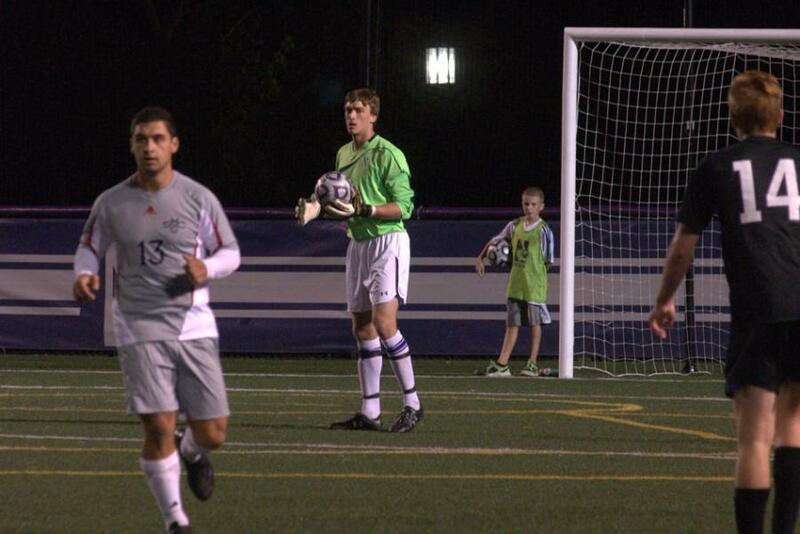 Following a whirlwind few weeks for his draft stock, former Northwestern goalie Tyler Miller was taken 33rd overall by the Seattle Sounders in Thursday’s MLS SuperDraft. An All-America Second Team and three-time All-Big Ten First Team selection, Miller was a menace in the Midwest during his college career. The goalkeeper allowed a measly 0.86 goals against average in his freshman season and remained around that mark in his next two years, before posting an insane 0.58 goal against average in his senior season this fall. That average easily led the Big Ten, with the next closest competitor coming in at 0.78. Miller’s selection in the draft came as no surprise to Wildcats coach Tim Lenahan. Miller had actually been projected weeks ago as a top-10 pick in the draft, which would make his spot at No. 33— firmly in the second round — a major surprise. But recently, the 21-year-old decided he would forgo an invite to the MLS Player Combine and instead travel to Germany for club trials. A risky venture? Possibly. Europe contains some of the world’s top soccer talent and there is no guarantee that Miller makes his way there. In the meantime, Miller’s flirtation overseas predictably worried some MLS teams, dropping his stock in the draft. Some even pondered that he would drop from potential top-10 pick all the way to the undrafted pile. But for Lenahan, Miller’s jump to Europe was the logical next step for a goalkeeper who Lenahan said wants to be great.